Thursday Fiberglass Pools has engineered and implemented the most durable fiberglass pool laminate schedule ever (see below). This construction provides incredible strength, flexibility and peace of mind. 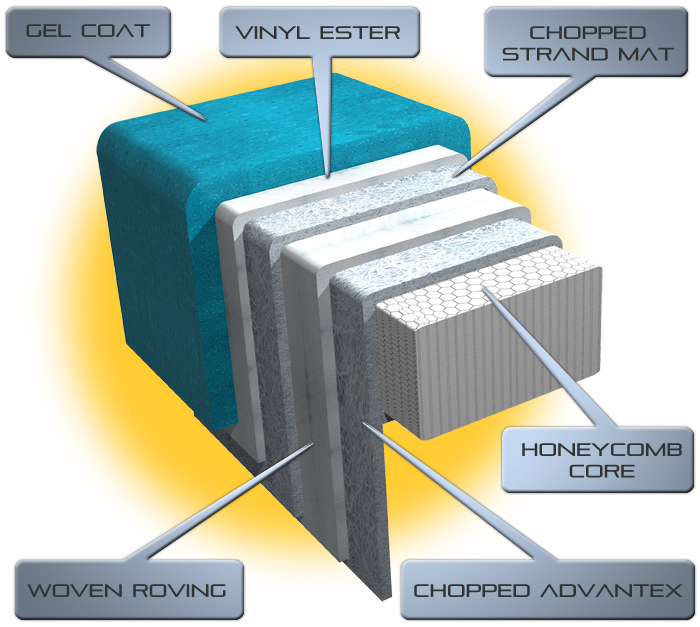 One major factor that contributes to the strength and flexibility is the use of the most technically advanced and environmentally friendly fiberglass in the industry, Owens Corning Advantex EC-R fiberglass, made in North America. All our fiberglass pools are built using our all steel structure molds, providing our dealers and customers with super straight and dimensionally precise pools.